Real Estate Guide Newsletter Lagos Nigeria January 2012 Edition: Property Investment Club Launch, Social Network Profits, And More! I am pleased to announce the launch of the Nigeria property investment club. The Nigeria Real Estate Investment club is focused on helping more and more people become successful real estate investors in Nigeria. Are you thinking of buying or building your very first house? Or do you already have a house but want to become a seasoned real estate investor turning profit year after year? Then you should be a part of the Nigeria Real estate investment club. 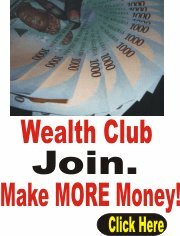 Click HERE to create a FREE account and learn how you can make money through the club. Many of our site visitors and potential clients tell us they want to invest in Nigeria property but do not have the funds to do so. The answer is pretty obvious . . . their monthly salary is barely able to pay the bills. And, hence, they can save little or nothing each month. Click HERE to download the FREE Success Blueprint with all the details to earn as much as $10,000 or month working from home part-time or full-time. 2. Three story building at Akoka Lagos comprising 18 units of 2 bedroom flats, 10 units of rooms & parlour and 12 commercial shops around the fence. Corner-piece property.